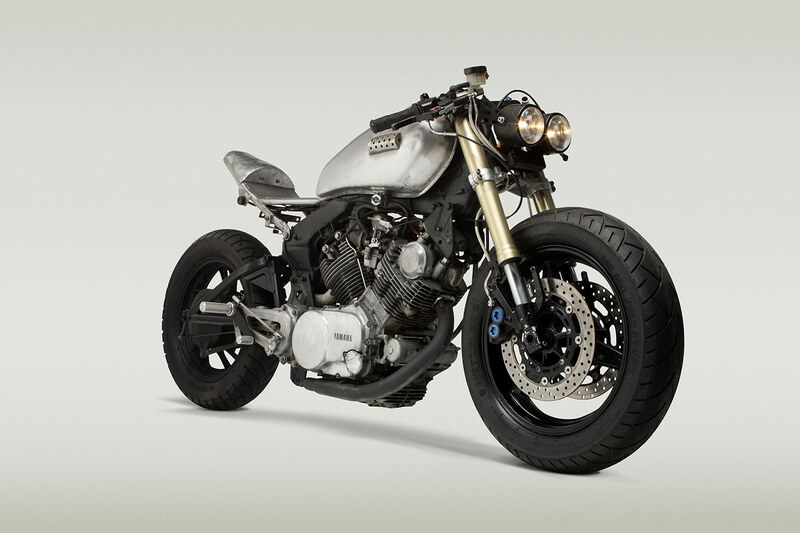 Built for my good buddy and killer director Sunny Zhao, this bike could be considered Classified Moto No. 002. Sunny had seen my first effort — a 1980 XS850 — from working and hanging out around good old Richmond, Virginia, and he thought the look of it would fit into his movie “Reciprocity”. The film pitted a scary and clever assassin against a beautiful girl bent on avenging the death of her father. 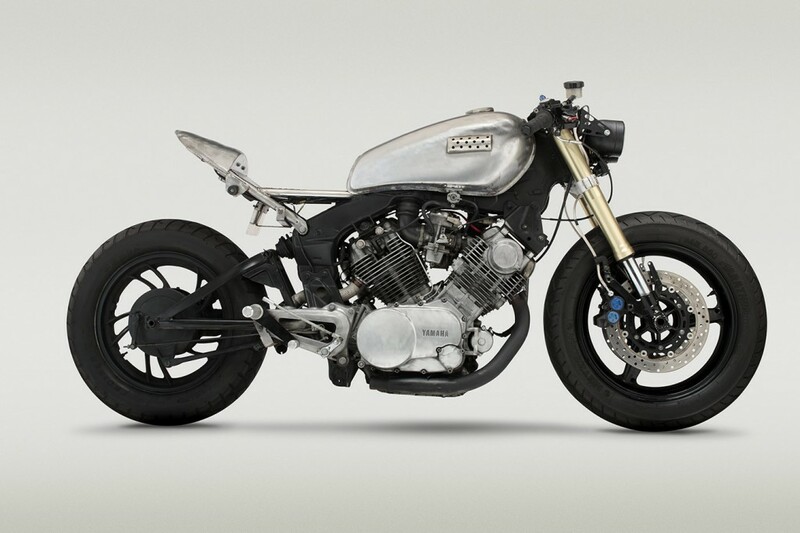 The old 750 Virago played an integral role and set in motion our tumultuous relationship with the Yamaha XV platform. Although the movie got backburnered thanks to Sunny’s crazy schedule, the bike is still around waiting in in hair and makeup until its time in the spotlight. Awhile back we went nuts and had Seth build a custom full stainless steel exhaust with a wacky box muffler. Sunny has some new ideas too. I feel like it might never be truly finished, but that’s part of the fun of this one.